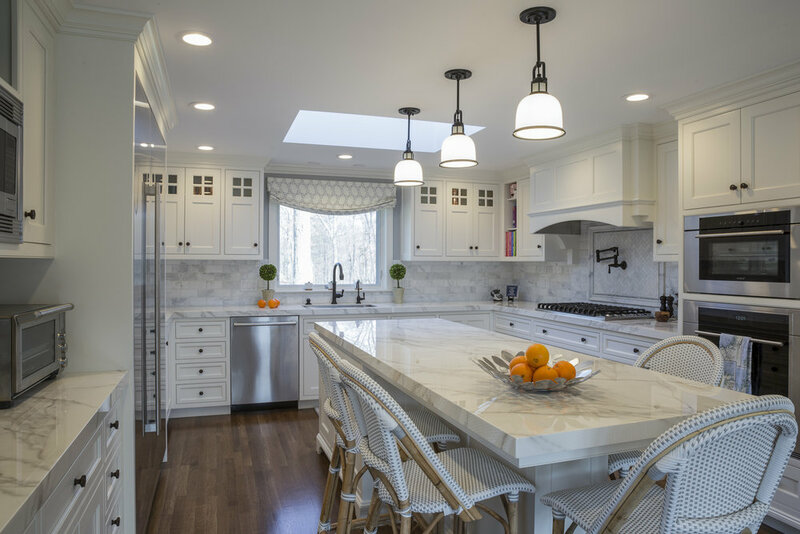 A long awaited new kitchen complete with a long marble island, extra large fridge, a chefs stove, a wonderful bath of light from the skylight along with a mudroom entrance and a hip breakfast booth. All this and with great view to watch horseplay in the backyard. The adjacent family room was outfitted with sun cutting glare mesh motorized shades and lots of room for TV and toys! 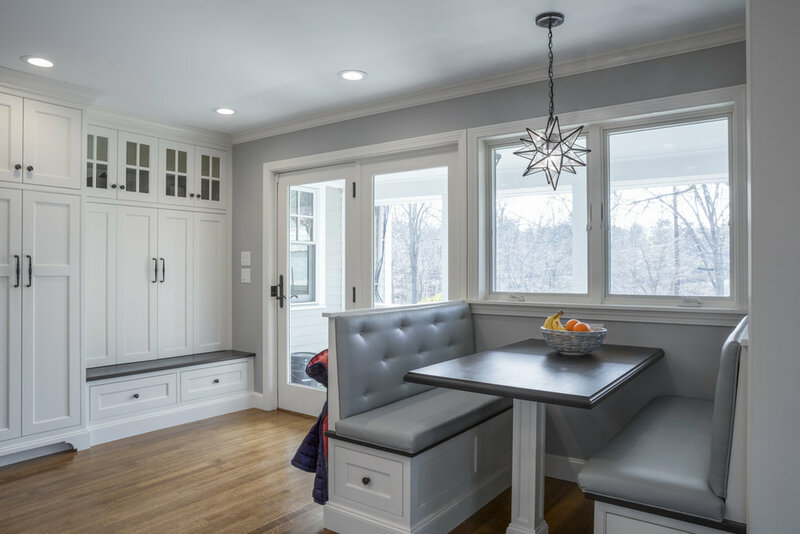 The mudroom area is complete with height-friendly hooks and easy-height bench for the kids to learn good habits. The simple color scheme of white infused with soft grays is easy on the eyes for this young family. The kitchen backsplash has 'pillow' style subway tile reflects the owners wonderful sense of style. A handmade fabric from Studio Bon completes the window dressing. The breakfast booth is covered in child proof faux leather and cleans up in a jiffy. French style bistro counter stools complete the look.